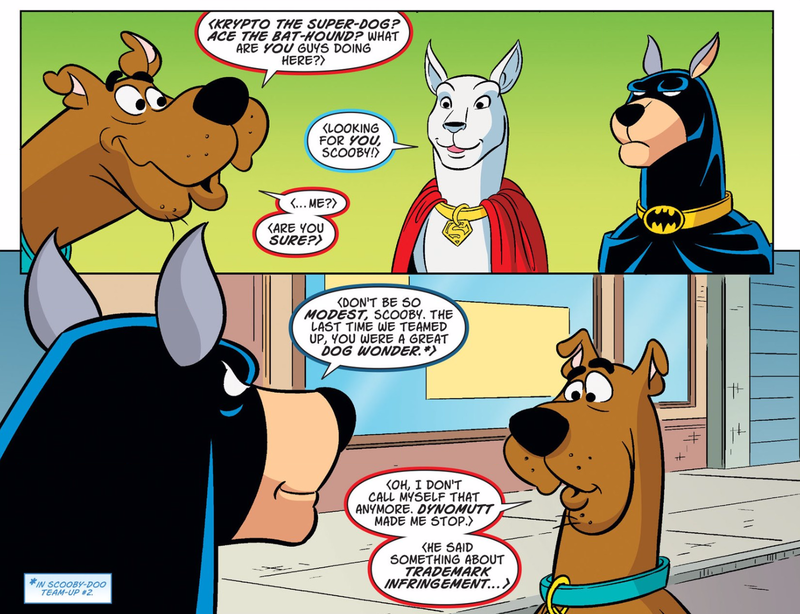 The appearance of Krypto and Ace the Bathound is soon followed by the arrival of G'Nort, the goofy man-dog Green Lantern who tested the Justice League's patience back in the 1990s. 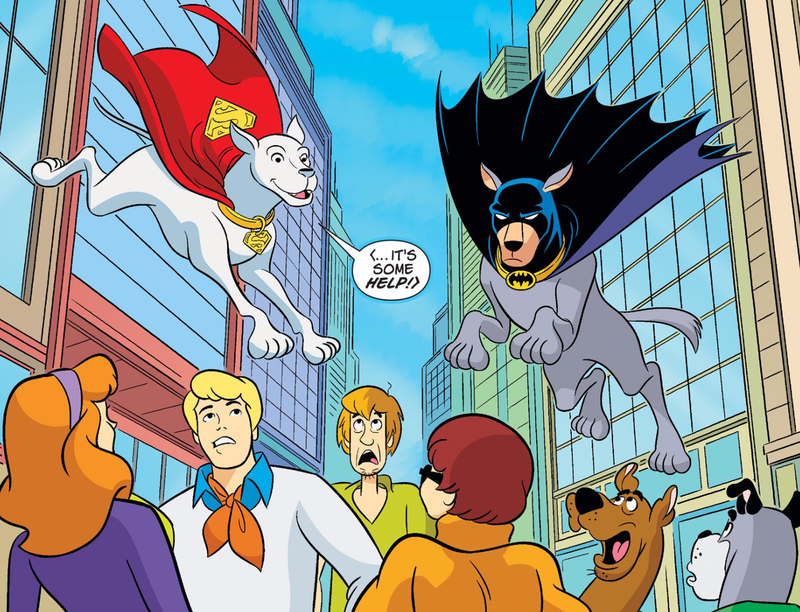 They make a short space jaunt with G'Nort to a planet in the Canis Major system where another team of super-dogs called the Space Canine Patrol Agents (SPCA) battles evil cats. 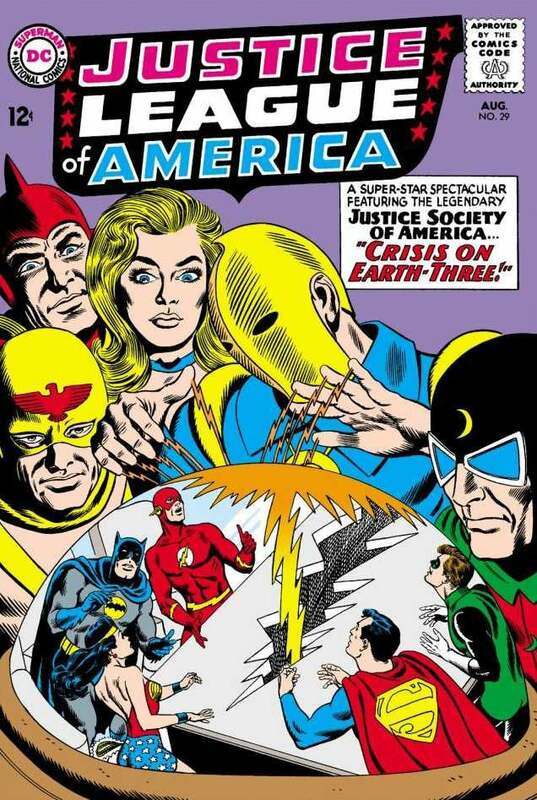 The best thing about this opening chapter is how it pays homage to the Silver Age JSA/JLA team-ups of old. 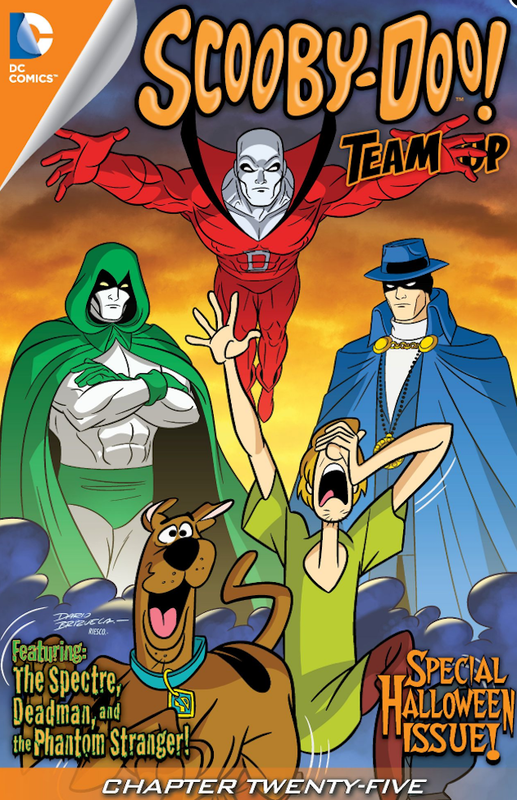 Heroes from different walks of life meet, team up, encounter a new group of characters and then set to resolving a deeper mystery of cosmic proportions. 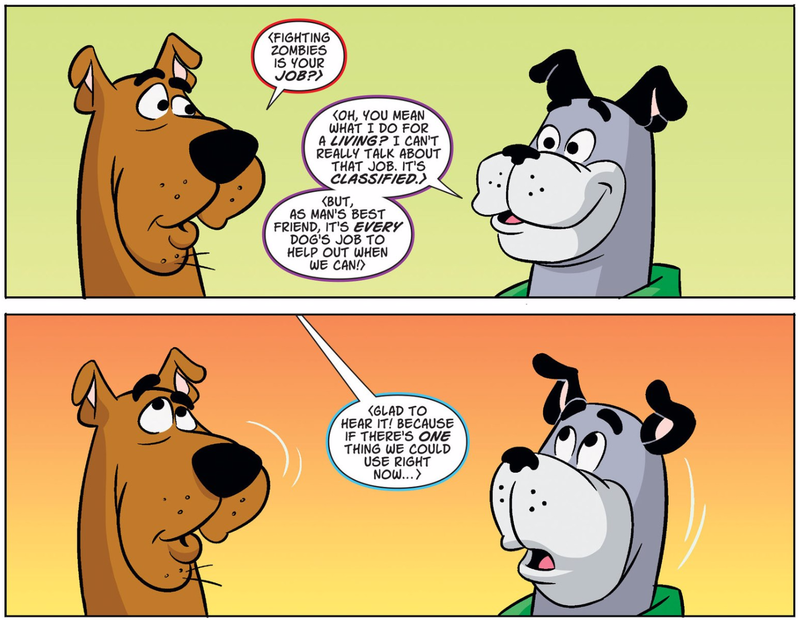 As to be expected with anything Scooby-centric, there's a punny stripe of humour throughout the whole thing. 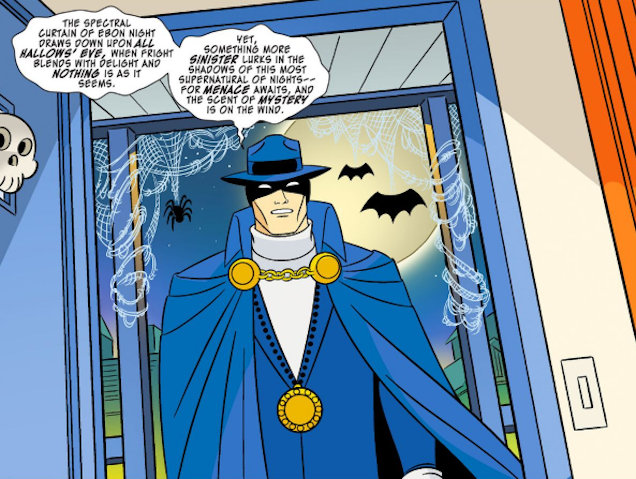 I also like how the powers and codenames of the SPCA and their enemies evoke the simpler character creation aesthetic of the Golden Age: Kitty Hawk is a cat with wings, Hot Dog a dachshund with pyrokinetic powers and so on and so forth. 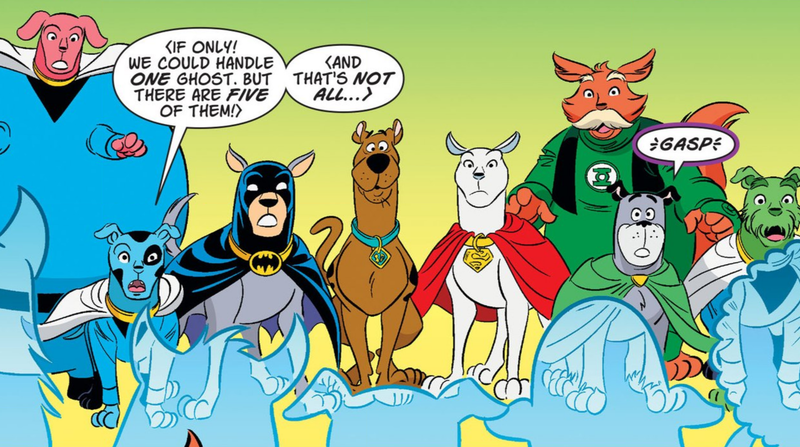 I went into this issue thinking it'd just feature loopy usage of old pet sidekicks, but it feels like Fisch is doing more than that, making a little dog-park pocket continuity of animal characters. Fingers crossed that Streaky the Super-Cat shows up. 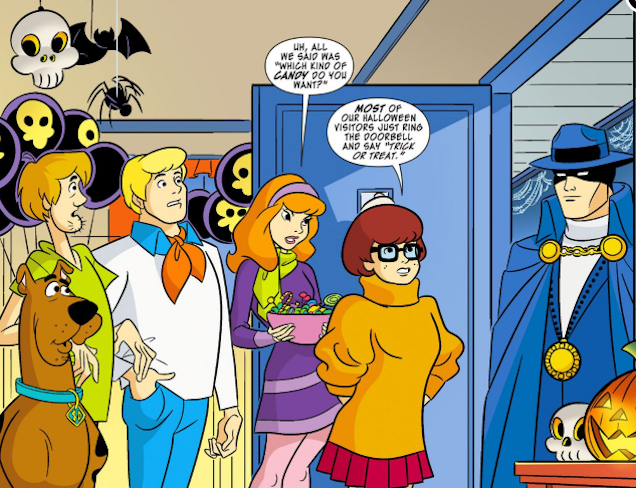 Could we get this as a live action movie instead of Justice League please?